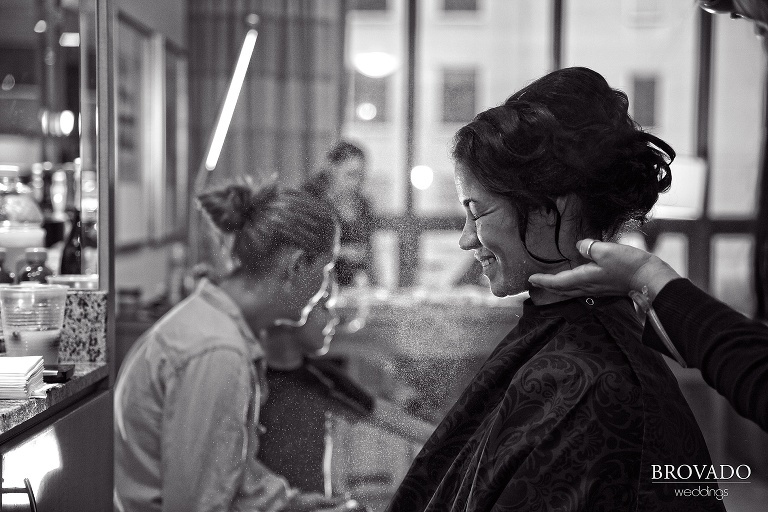 We love this photo of Steph getting ready for her big day – proof that she was all smiles from beginning until end! Tanner was Steph’s first friend when she moved to Minneapolis. After six months their friendship turned into a relationship so wonderful that they never wanted it to end. So Tanner proposed to Steph by surprising her in front of the stunning Minnehaha Falls after a walk with their good friends and their dog, Oakley. Now, they are happily married, and hosted their wedding in the city that initially brought them together and that they fell in love in. And wow, what a wedding it was. 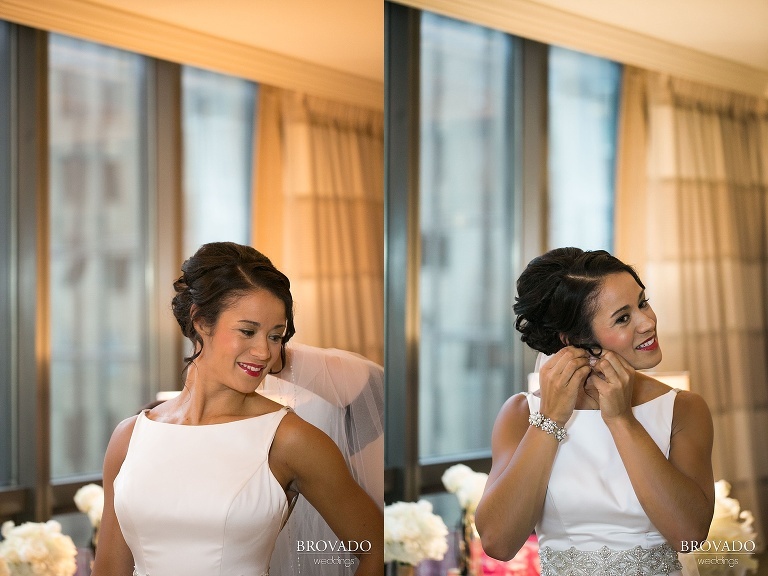 Steph and Tanner’s big day was the epitome of a classic and glamorous cosmopolitan wedding. The ceremony was held at the Basilica of Saint Mary. The gorgeous church was not only the perfect venue to hold their faith-centered ceremony, but also served as a stunning backdrop for pictures (check out how the bridesmaids’ sequence dresses pop in front of the gold doors!). The wedding crew then headed downtown to the IDS building for their reception. 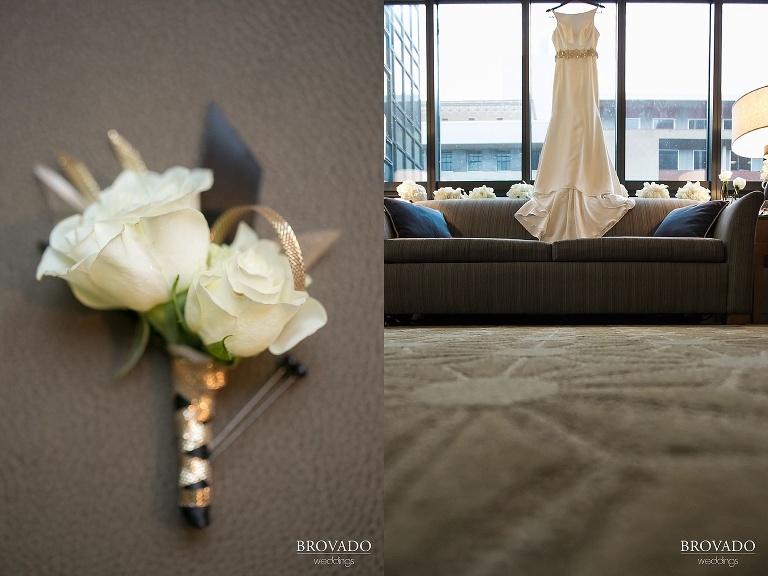 But the reception wasn’t just in the IDS building; it was at the top floor of the tower. My ears popped as I went up the elevator. The views of the city were unbelievable. I can only imagine how special it must have been for Steph and Tanner to be able to gaze out over the city and be able to see so many of the places where they have made memories together, each one leading them to this day, where they committed to spend the rest of their lives together. That is part of what was so extraordinary about Steph and Tanner’s wedding day. 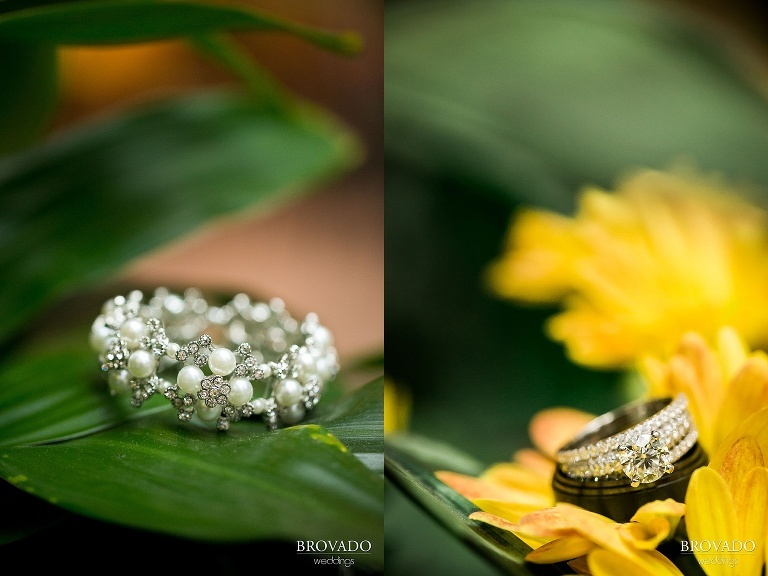 The glamorous gold and silver details were absolutely beautiful (and made for great photos) but the beauty of their day went so much deeper. It was truly a celebration, not just by the couple, but also by everyone present, especially their two families—who clearly love them and their relationship so much. Steph and Tanner had previously told me how close they each were to their big families, and it was made so obvious on this day. But out of all the gorgeous decorations, distinctive details, and special moments, what I believe made Steph and Tanner’s wedding especially unique, occurred right after the ceremony came to a close. Each guest received a small bell labeled, “Join us in ringing the bell to celebrate a lifetime of love & happiness,” and rang it as the Steph and Tanner joyfully exited the Basilica. Their joy was contagious, and it rang through each and every bell.